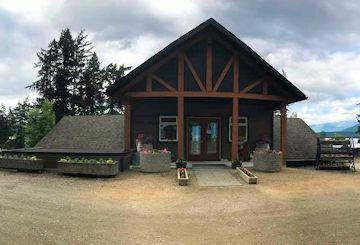 A new winery located north of Okanagan Lake near Salmon Arm. On his farm owner Sheldon Moore found numerous Yew trees, whose botanical name is taxus baccata, this prompted the winery's name. This Vernon orchard was extablished in 1949 by the grandfather of current owner David Dobernigg. The orchard is located in Vernon's Vernon’s BX district. There are 12 hectares. David and Melissa realize that Apple production in the Okanagan is now a difficult business and they need to turn to Cider production to ensure a profit. They did the resaerch before constuction their facilities were built. Ttheir initial ciders 10,000 litres were made in 2013. They recieved training from Washington states Peter Mitchell. Philosophy: Our cider is pressed only in the fall when select varieties of apples are ripe. We then ferment it over the winter, releasing it only when it's had a long, slow maturation to mellow and develop it's complex flavours. 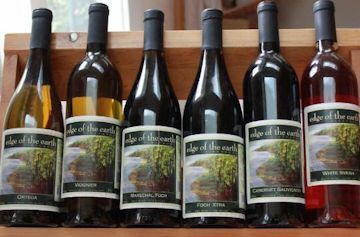 Due to the windy country road one has to reach the winery owners Russ and Marnie Niles renamed the winery Edge of the Earth Vineyard. It was formally called Hunting Hawk Vineyards. The vineyard is small at 3 acres ( 1.2 hectares) here he grows his favourite grape. Maréchal Foch. 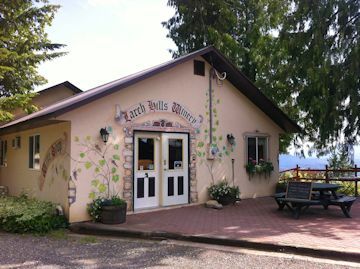 Larch Hills Winery is a land-based, family run vineyard and winery, originally owned by Hans and Hazel Nevrkla. They sold the winery in 2005 to Jack and Hazel Manse. Larch Hills sits on top of the hill over looking the entire valley. It's an amazing picture post card view. Philosophy: "We specialize in cool climate grape growing, and have varieties that are generally not available in other parts of BC. We think this makes our wines unique." Cindy Couch and Claude Monette are the owners of Lavina Estate Winery . The winery was started in 2008 and Cindy and Claude have passionately cultivated five varieties of grapes. Why is it called Lavina Estate Winery? Lavina is Cindy's mother's name, so both Cindy and Claude thought that it was fitting to name the winery after her. The winery is owned by two very experienced winemakers Amanda Eastwood and Jamie Smith. Jamie is originally from Salmon Arm. He spent 11 years working and living in Europe. Most of those years were spent in Spain where he met Amanada. 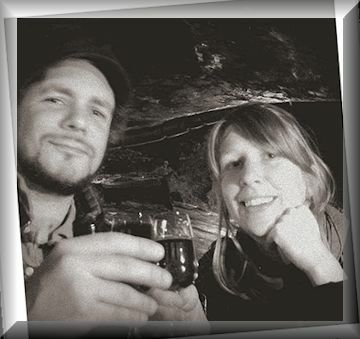 After meeting in Spain both Jamie and Amanda moved to Brighton, England to study degrees in Viticulture and Oenology. They both completed a BSc. Hons in the subject and began working in both in England and in Europe. Why the name Marionette. Many years ago a family of artists and performers lived on the property where their wineryis located. They traveled in beautifully painted, horse drawn caravans to perform shows which featured handmade marionettes. Philosophy: for us wine is a lifestyle, a passion and the result of a year round creative process that never ceases to amaze us as winemakers and grape growers. Wine for us is an object of beauty and sophistication which has been central to the cultivation of joy and inspiration in people’s lives for millennia. We also see it as something very regional, very local and very much part of a sense of place. In 1992 John and Catherine Koopmans purchased a small dairy farm on a 31 acre property in Silver Creek. They worked as dairy farmers and also raised sheep. In 2006 they decided to sell the cows and in 2007 a 4 acre vineyard was planted with four varieties of grapes; Pinot Gris, Pinot Meunier, Gewürztraminer and the old cold hardy standby Marachél Foch. 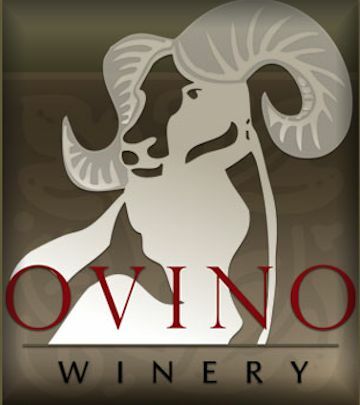 The name of the winery arrives from sheep--ovine in latin, ovino in italian and spanish and of course vino is latin for wine. 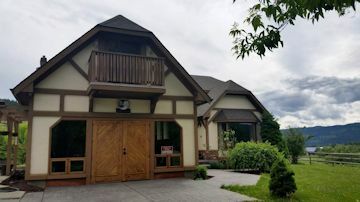 The winery is located on a Bench overlooking the valley between Salmon Arm and Vernon, this glacier carved landscape offers mostly sandy loam soils, marbled with infrequent layers of clay. The vines are located on a sun drenched knoll to maximize photosynthesis and air flow, supported by a drip irrigation system. Ovino is a true family project, with John and Catherine's daughter Jessica and her husband Don Gawley helping out with many of the day to day operations with other family members helping at harvest time. Estate grown grapes are supplemented with some purchased grapes, mostly the same varieties, from nearby vineyards. An arrangement that is likely to continue in the future. Philosophy:work on producing the best grapes the season allows for and guide that into lovely wines of the style that people will enjoy. 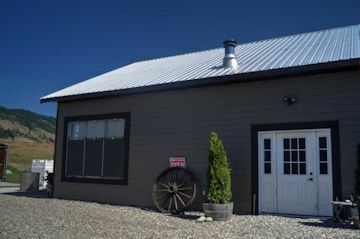 The winery's direction is to promote the wines of the Shuswap as unique and as an alternative to “mainstream” wines, exhibiting their very fruit-forward characteristics, and to grow the business and the winery's volume as a result. 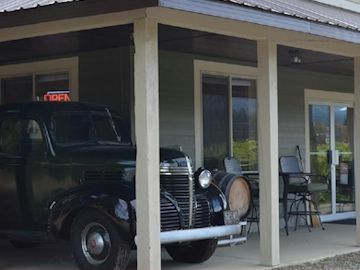 They offer a full-line of wines, including whites, reds, rose, and dessert products. The wines are award-winners at a variety of competitions in Canada and the U.S. They have a production of 2000 cases Their signature wines: Siegerrebe (white) and Marechal Foch (red) Recline Ridge produce a fortified, port-style red (Ridgeport), and a late-harvest style dessert white (Hummingbird's Kiss). 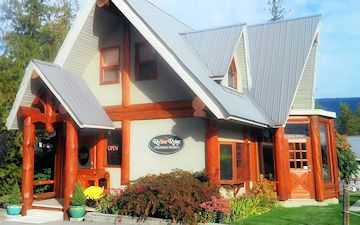 One of BC's newest wineries in the Shuswap Sunnybrae Vineyards and Winery owned by Barry and Nancy Turner. They run a true family winery receiving help from their daughters and grandchildren. Mark Wendenburg, the former long-time Sumac Ridge winemaker, consulted on finishing the vintage. Sunnybrae made 1,200 cases in its first vintage, opening its tasting room in May, 2011. 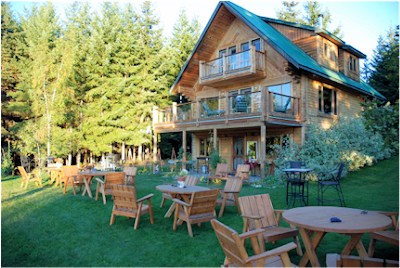 Located on the banks of the picturesque Shuswap River, in Enderby 86KM north of Kelowna. 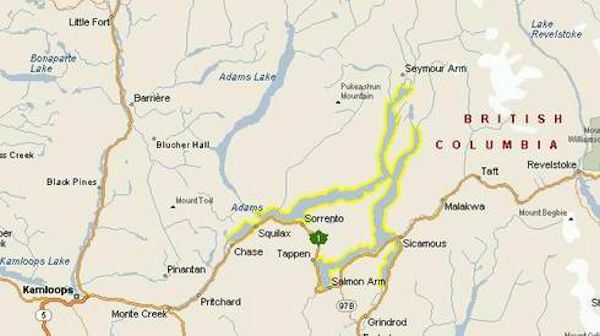 It is 22km south of Salmon Arms.